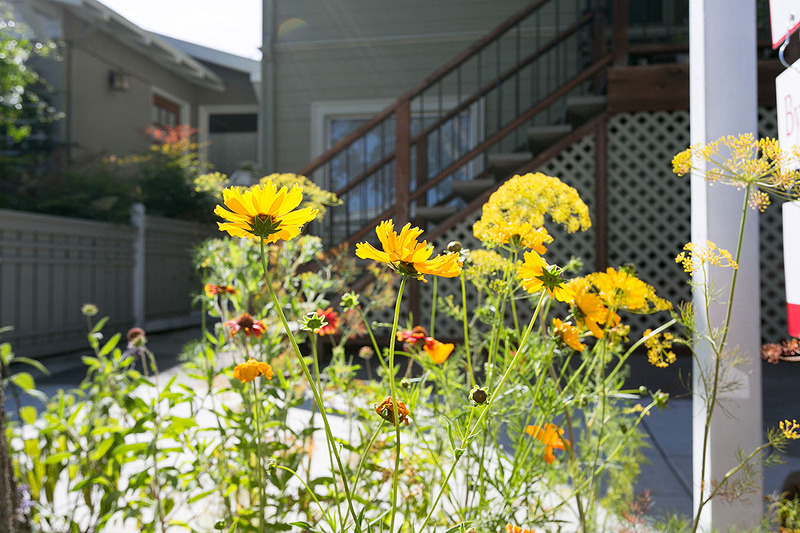 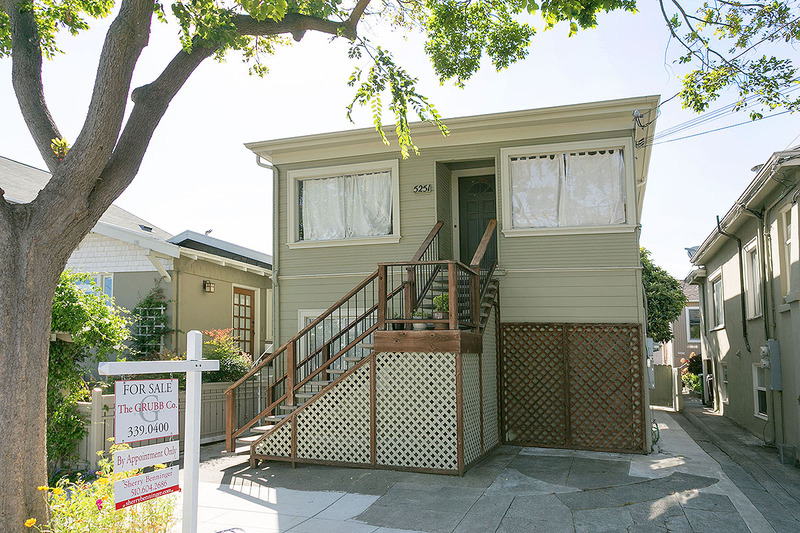 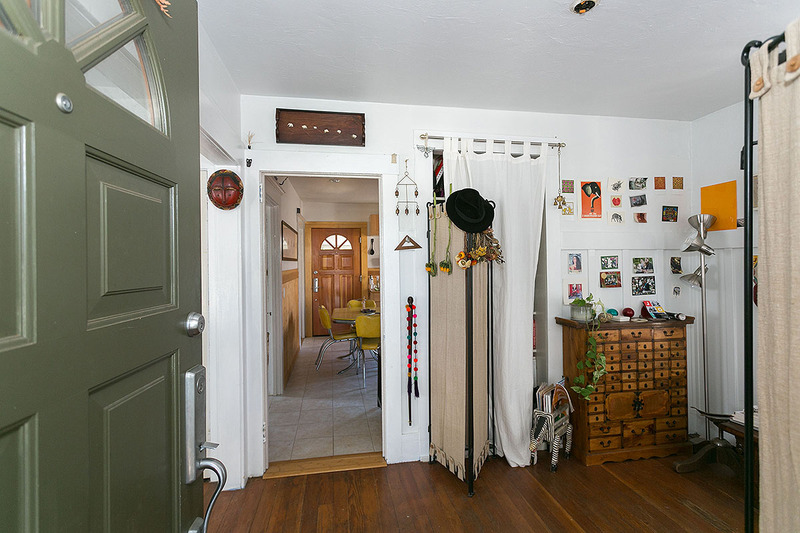 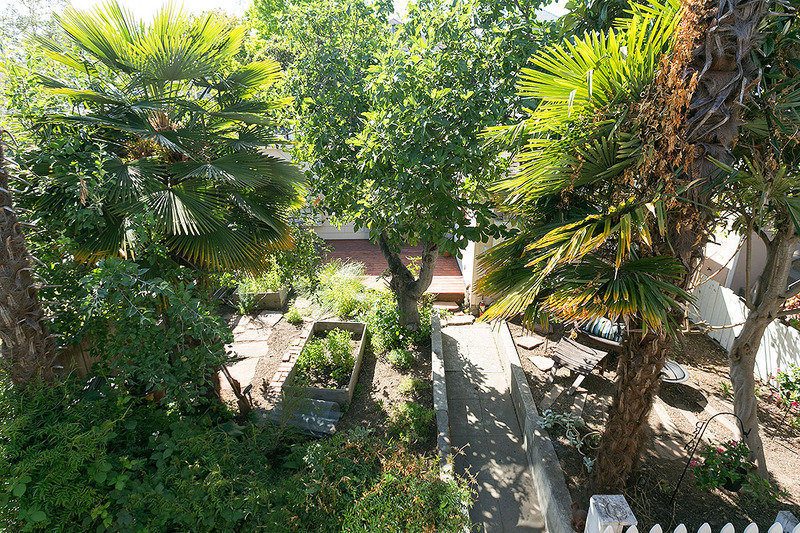 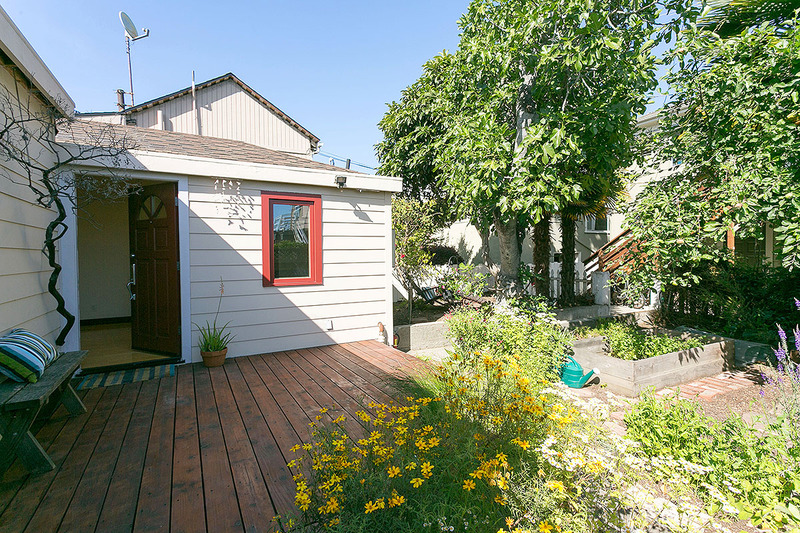 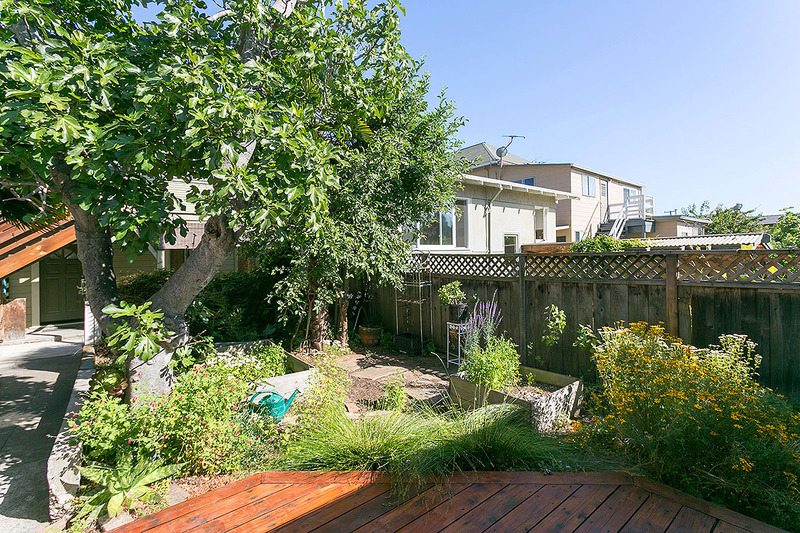 This inspired property features a 1913 duplex & charming garden cottage, desirably located in the heart of Rockridge, near Bart, Market Hall and College Avenue. 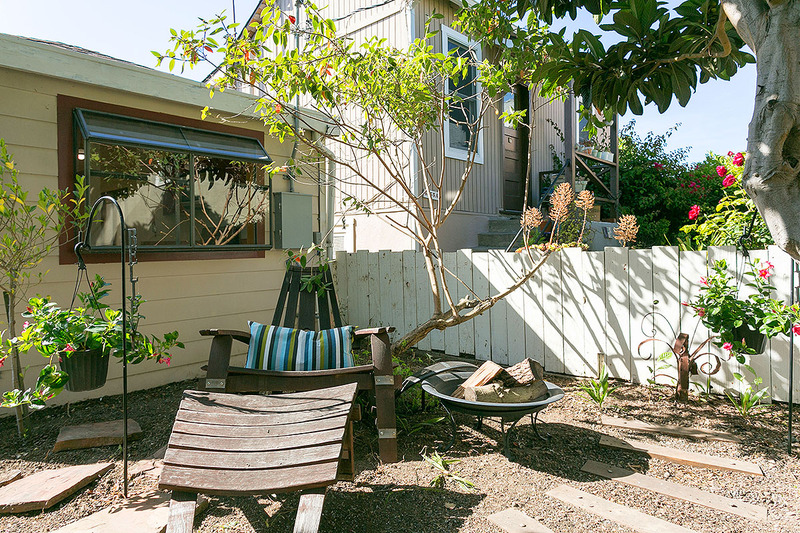 Cafes, restaurants, shopping, and bookstores are all within blocks of the property. 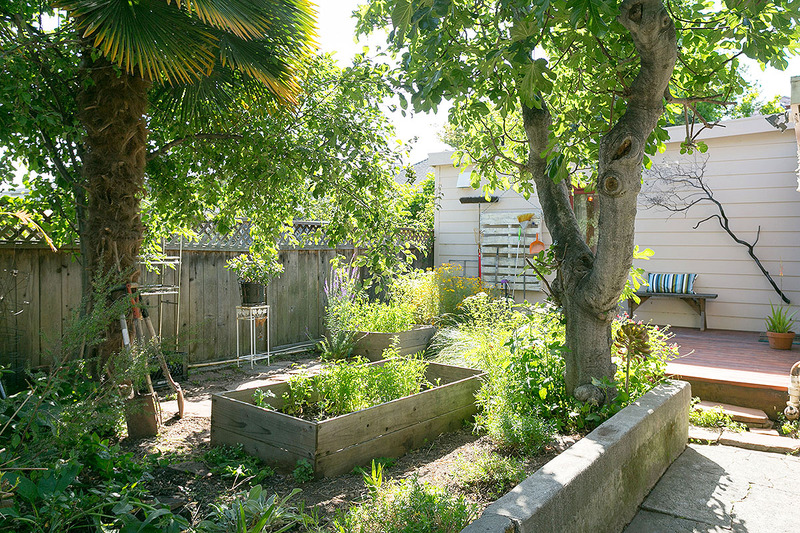 Temescal Farmers’ Market, Rockridge Library and Frog Park, an urban greenbelt offering a playground, climbing wall & creek amid butterfly gardens & redwood groves, are a few of the treasured landmarks. 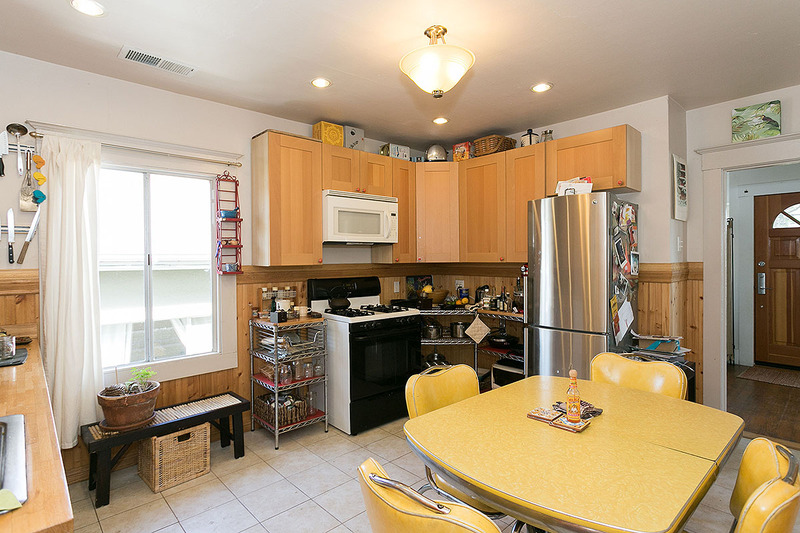 Upper unit: This light filled unit offers a fabulous kitchen, living area with alcove and laundry area. 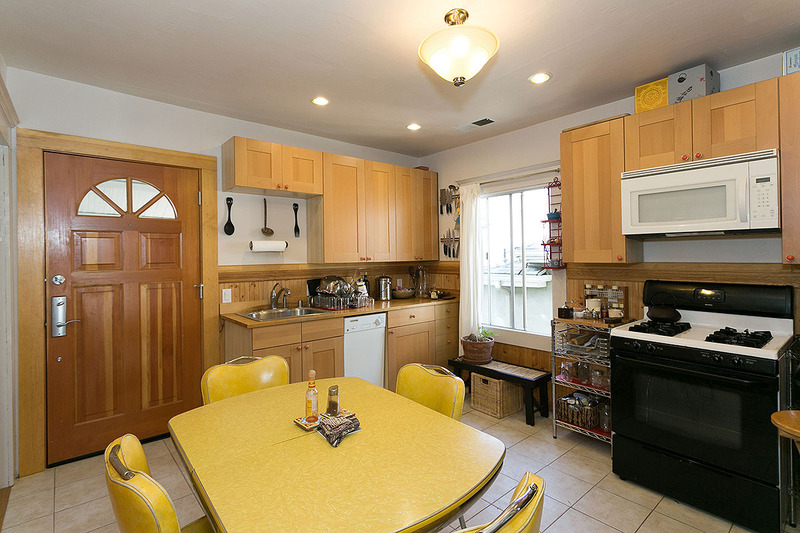 The kitchen & bath were extensively remodeled. 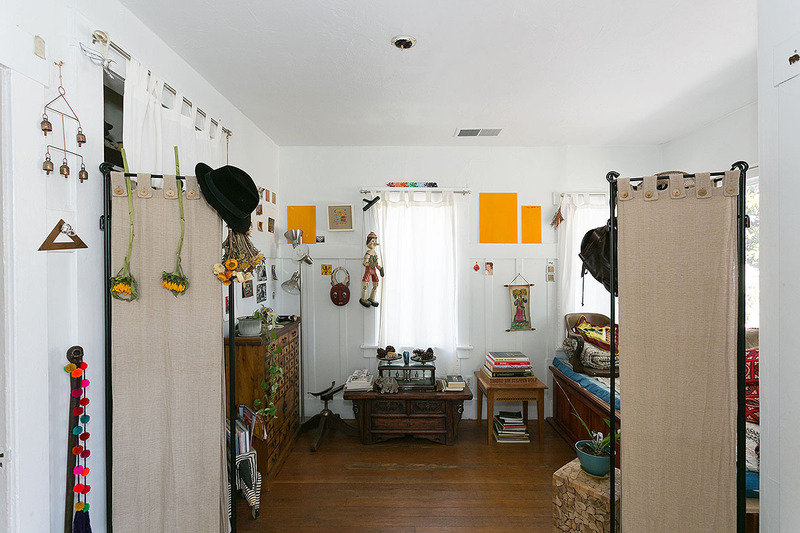 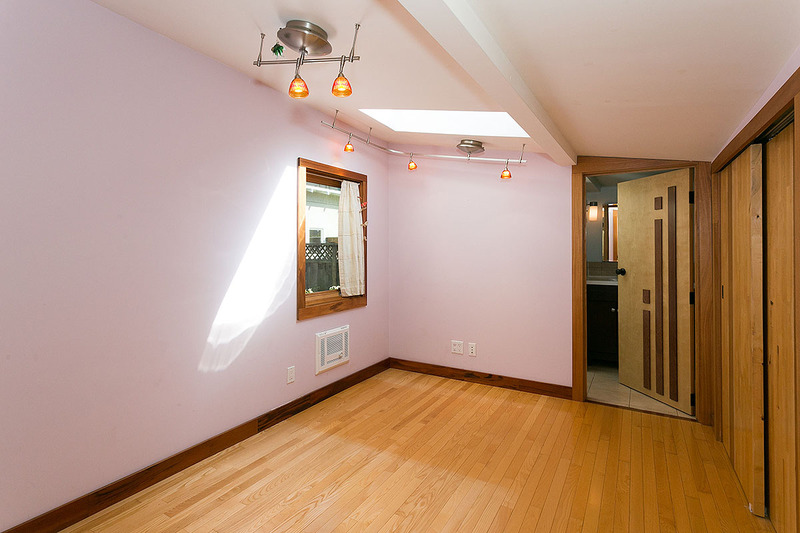 One bedroom plus bonus room/one bath. 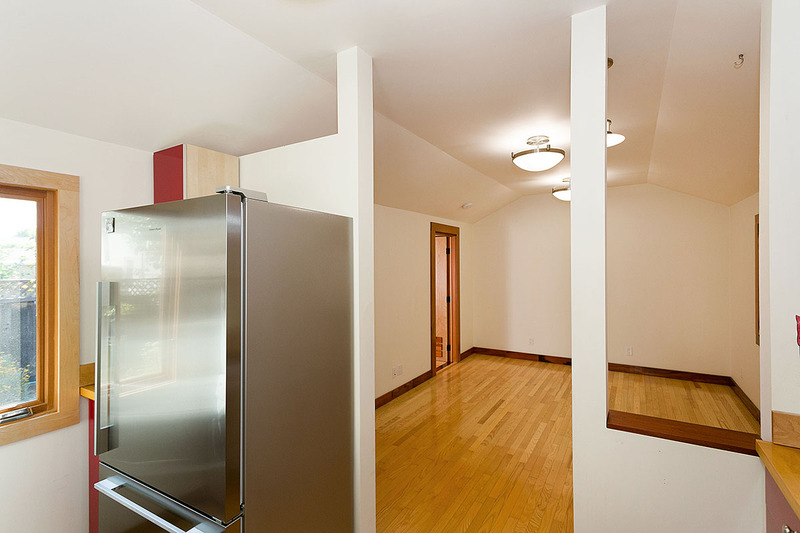 Lower unit: The downstairs unit has not been updated One bedroom plus bonus area/one bath. 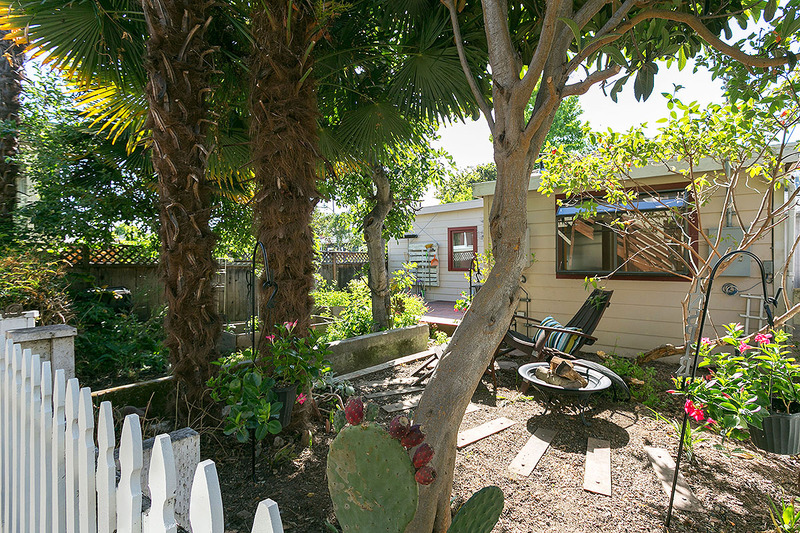 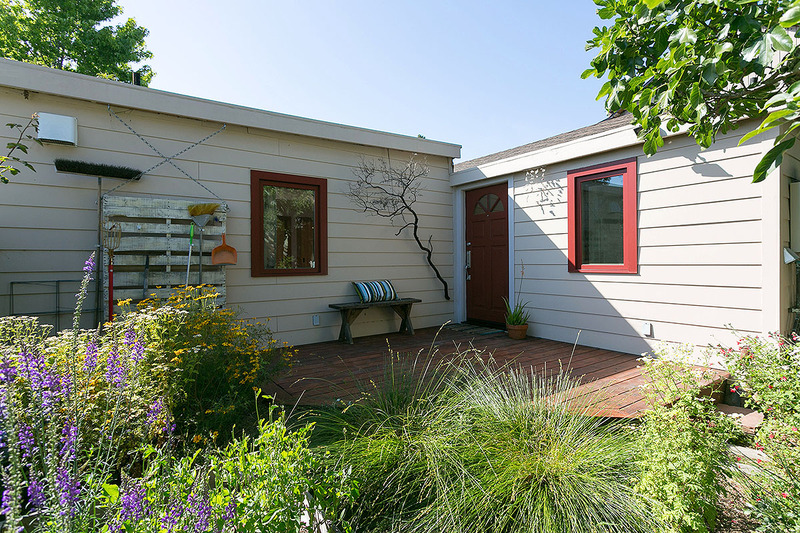 Garden Cottage: This charming rear Cottage has been artistically remodeled & offers a beautiful garden setting and a delightful sunny deck. 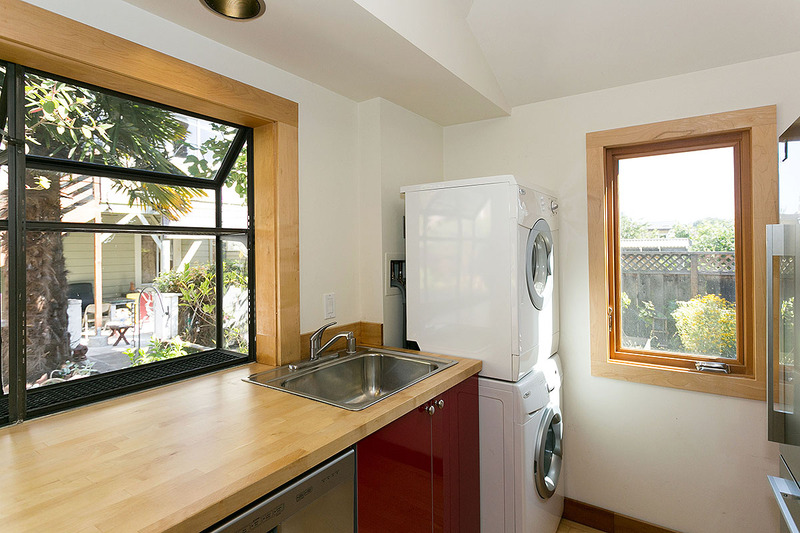 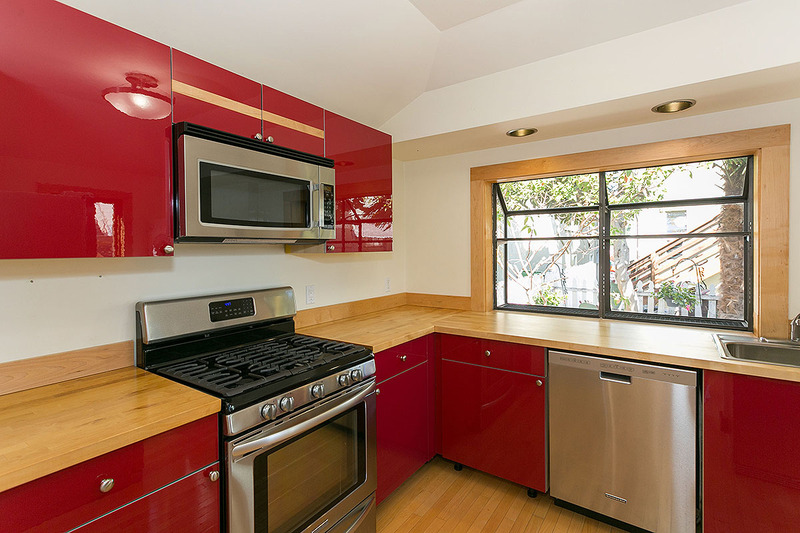 The cheerful kitchen features a lovely garden window and European styled cabinets. 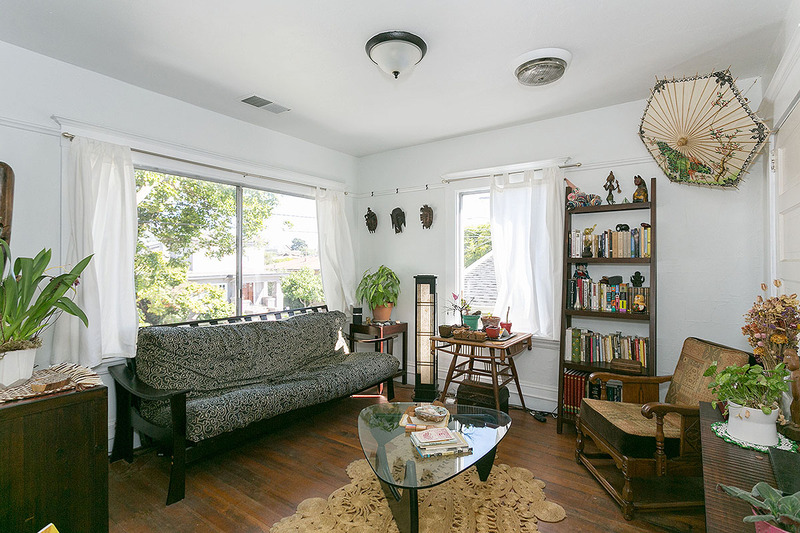 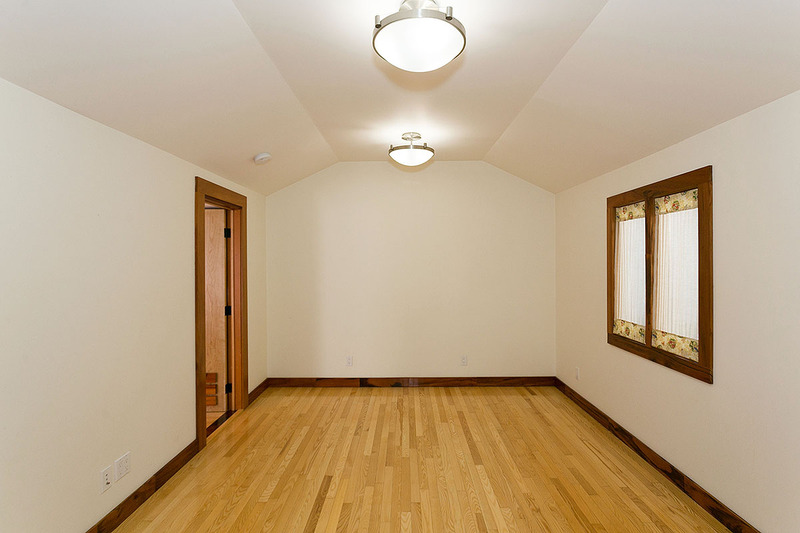 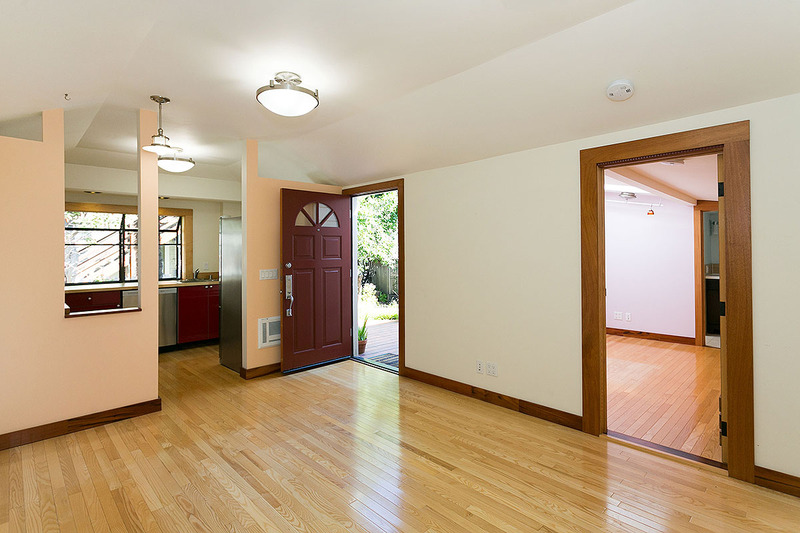 The open living area is comfortable and fresh and leads to a cozy bedroom and updated bath. 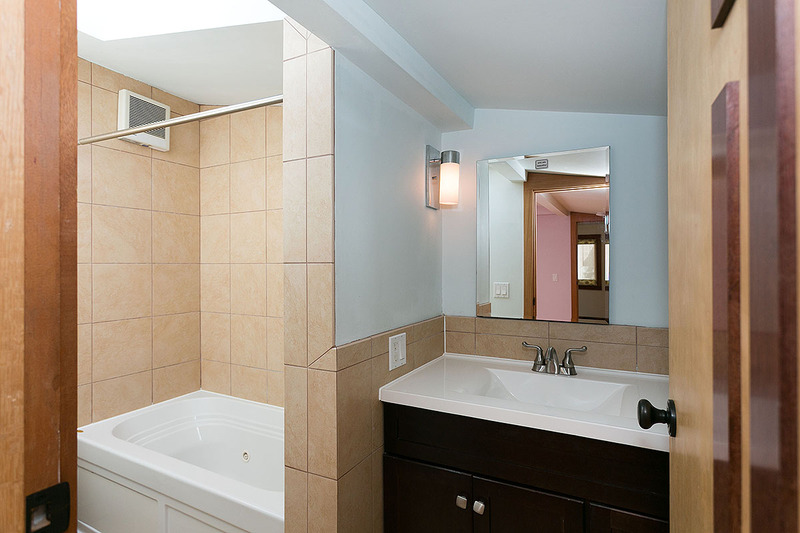 One bedroom /one bath.